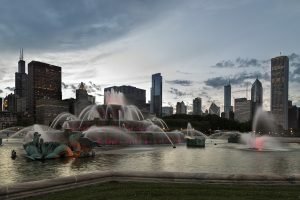 Illinois to adopt the 2018 International Energy Conservation Code (IECC). Another change with the adoption is that state-funded buildings will follow the 2018 IECC with the American Society of Heating, Refrigerating and Air-Conditioning Engineers/Illuminating Engineering Society (ASHRAE/IES) 90.1, Energy Standard for Buildings Except Low-Rise Residential Buildings, as an alternative compliance path for a building owner and design team. Any plans submitted on or after the effective date are expected to follow the new energy code requirements. interior and exterior lighting power tables are revised to reduce the lighting power allowance for many applications (this supports the shift to more energy-efficient lighting sources). Illinois has made one amendment to the 2018 IECC in the electrical power and lighting systems section (C405.1). The amendment establishes light efficacy requirements for dwelling units that do not follow the residential code. In these cases, no less than 90 percent of the light in these units shall have lamps with efficacy of 65 lumens or more or light fixtures with efficacy of 55 lumens or more.